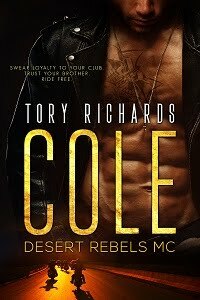 Raze is a member of the Wreckers MC, sentenced to life for a crime he didn’t commit, all because of the damning words of his best friend’s little sister. New evidence surfaces, proving him innocent, and once he’s released he’s determined to find the woman responsible. It doesn’t matter that they had history, doesn’t matter that he’s wanted her for the better part of a decade. Rosa’s betrayal has cost him three years of freedom, and he’s going to wreck her.